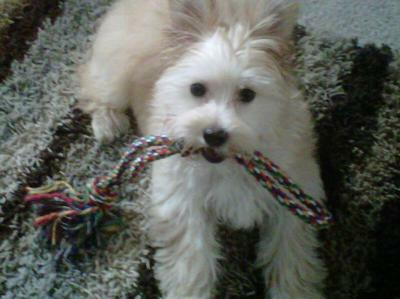 We adopted a cheap Maltese puppy mix online 'Coco' via Ebay Classifieds. Her father is Pekingese and her mother is Maltese Yorkie. Everyone who sees her insists that she's a full blooded Maltese. She is the sweetest girl. She has been to the vet and has checked out as being very healthy. The owners of her parents are a couple with young children. Coco's parents are their family pets. They are not breeders. We paid $150.00 for her and she had had all her first shots, a dr's visit, and was dewormed. We got her at the recommendation of my dr. as a therapy dog. She's a real blessing to have. Not only is she cute, but she is very smart and learns quickly. Hi there...Nice to know U love animals...I have an almost an 9yr female Malthese and lately I have notice she is playing around...jumping...and just savants to lay and sleep a lot...I took her to our get...and he feels she is lonely for a personal companion...well that is want I an looking for her...her own personal companion one she can love...play w ...walk w...eat w...sleep w...go shopping w...go to the vey w...and just lay down w...it...it may sound strange...as I love my Evia so very much...and will do anything to just make get the happiest dog ever....Be U say yes.. I would love this dog have much is it ???? I'm a stay home grandma and would dearly love to have a Maltese pup for my companion, if anyone can help find a cheap one please let me know. I like Coco. 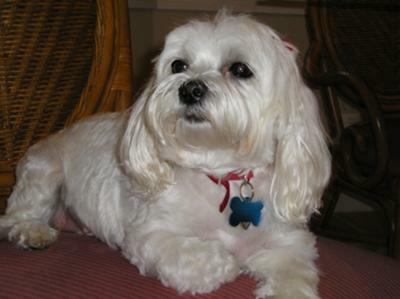 I am looking for a female maltese that will be my service dog for epilepsy and my friend for my depression. I don't have thousands of dollars to spend on a dog. Please tell me how to proceed. 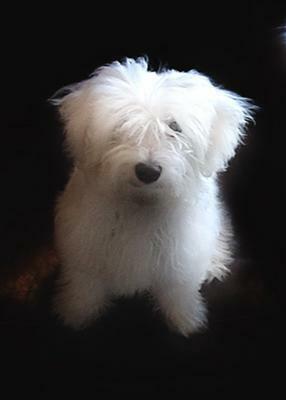 Do you have any maltese young females that are available for adoption. And healthy? Hi, are you concidering selling Coco? 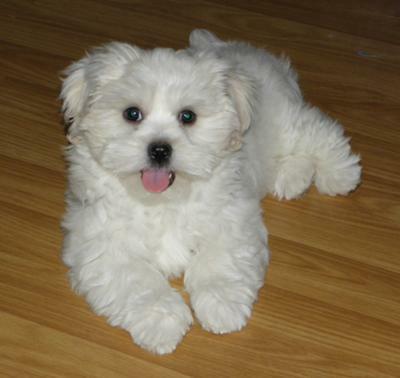 Hi, I am 13 years old and a Maltese puppy has been my dream dog since i was little but my family doesn't have enough money to get a expensive dog so I would really appreciate it if you would consider me and tell me how much the puppy will cost. Please text me at 3852097812, Thank You. Hi my name is Olivia I am 8 yrs old me and my parents and my younger sister are looking for a puppy how much would he or she cost? Please call 2133790015 thank you very much! I don't understand why your getting rid of her? Is she still available? I am so happy for you and the price is reasonable! Unlike these so called "rescue" groups that can charge anywhere from $300-$600 to adopt a pet!!! They claim to want to find good homes for these pets but have outragious adoption requirements and fees!!! It is easier to purchase a pup straight out! I was fortunta to have my maltese/poodle mix pet given to me by my neice who inherited him from a friend that was unable to keep him...free!! Hi, my name is Vivian I'm 11 years old. Me and my mom and my two brothers were looking for a small dog. When I seen the mixed puppy I just had to have it! I was wondering if it was still available. And if it was how much money would it cost? Please write back ASAP. Thank you! I am wondering if you still have your Maltese mix puppy? I lost my baby girl snowy on Feb. 19 after 12 beautiful years. I am now ready and looking for another darling baby to come into my home. If you feel I am a good candidate please let me know. Very interested. Ever since I got my dog,he has always been lonely.I know what you are going to say.oh, I already have a dog but seriously,he is soooo lonely so please. Im wondering how old is the dog and why trying to find Coco a new home. 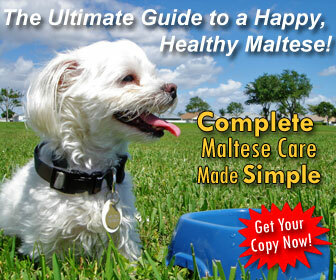 for my boy maltese he will be three in feb 2015. 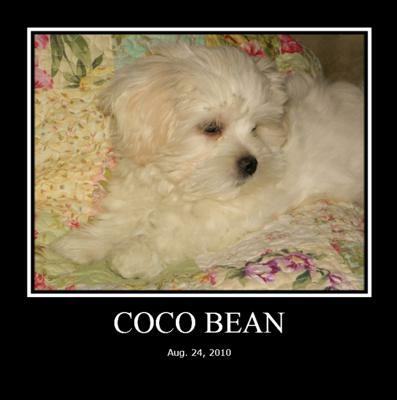 We found our cheap Maltese puppy mix 'Coco' via Ebay Classifieds. Her father is Pekingese and her mother is Maltese Yorkie. Everyone who sees her insists that she's a full blooded Maltese. She is the sweetest girl. She has been to the vet and has checked out as being very healthy. The owners of her parents are a couple with young children. Coco's parents are their family pets. They are not breeders. We paid $150.00 for our Maltese mix puppy and she had had all her first shots, a dr's visit, and was dewormed. We got her at the recommendation of my dr. as a therapy dog. She's a real blessing to have. Not only is she cute, but she is very smart and learns quickly. Actualy I found my baby on Craigslist by chance. I was looking for a puppy to love and I went there. I guess I lucked out because he is the most amazing, smart and healthy puppy ever! He loved me and mom right off the bat and we loved him right back. He is very wiggley and has more energy than a 3 year old. I guess after reading what people say about adopting dogs on Craigslist I wouldn't recommend it, but someone was looking out for me because he has a clean bill of health and I will love him for the rest of his and my life! 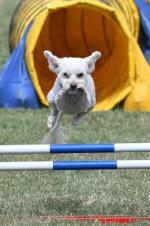 Small dogs, especially pure breeds seem to have periodontal problems. You could help if you could get your dog used to you putting your hands in her mouth; at least once a week a GENTLE cleaning with baking soda and a small wash cloth would help immensely. The fact that it is salty, the dog will like it, once used to it. How much he/she eats is not the problem !! Good Luck with this treatment. Also, let the dog chew a Nylabone. They are flavored, last a veeeeery long time and helps keep the teeth from collecting tartar. I think its great you were able to luck up on such a great dog. I just recently inherited a young ladie by the name of Babie. She is the sweetest thing I have ever met. She's smart, alert and very active. However, I was having issues with her breath and after checking her teeth, I now see why. She isnt eating much but she drinks a lot of water. She is about 7 yrs so I dont understand the decay but never the less were going to the vet. 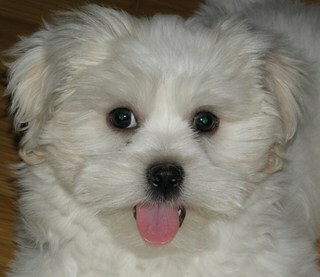 I have gotten 2- actually 3 Maltese from Craig's list now. 1 was a Shih Tzu Maltese mix, 3 years ago!! (Sophie) she is awesome!! This week I rescued 2 adult Maltese from a backyard puppy mill breeder, when I picked them up they were SOOOO gross!! Their fur was incredibly overgrown & matted and soaked in urine!! It took me about 4 hours to groom them, (I do it myself) and bathed them.and I must say... now they look AMAZING!!! So cute!! they MUST feel better! And are snuggled up next to me on the couch as we speak!! I don't think they have ever been treated as pets! Just breeding machines! Well they are wearing little coats and sweaters, completely shaved down, learning how to use stairs, and potty training, and how to trust people! LOTS of training treats! :) they are as sweet as can be, the boy-Benny- is very outgoing, and the girl (Tini) is VERY timmid..but starting to come out of her shell!! They are 3&4 years old respectively and starting like new puppies! They are worth it love them!! I was looking for a small breed puppy on Craigslist. When someone placed an ad for a free Maltese Bichon puppy. I was the first one that called. I drove 85 miles in the pouring down rain to get the puppy. The man said he bought the puppy from a friend of his for $600.00 and was afraid that his small children would hurt him. The next day the puppy had a bad case of worms and fleas. So we got him medicine and his shots. He has been the sunshine of my life every since. He is healthy, happy, and beautiful now. I wish I could have a similar story. I want another dog but I cannot afford to purchase one. I want a male puppy too. 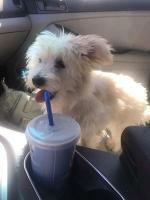 I found my Maltese dog on Petfinder. We had been looking specifically for a Maltese after being too late to adopt one we found in our local shelter. We fell in love with the breed and had been looking several months before she appeared on Petfinder. We called, the next day she was ours. We didn't know how old she was, where she came from, or any history, but it didn't matter. We fell in love immediately and are crazy about our adopted Maltese. $450 EACH...they are very Small Purebred Maltese puppies..they have their 1st shot, have been on a worming schedule,they come with AKC Papers, Shot records and a health Guarantee! ~if interested Contact email (karenkent711@gmail.com) or text us at (540) x 227 x 6089. I would love to find a small Maltese puppy, I am retired and live alone, lost 2 dogs last year one to an autoimmune disease the other to old age and my heart is ready for another baby. Please contact me if you have something like this, male or female doesn't matter to me, I love both but males are more affectionate. 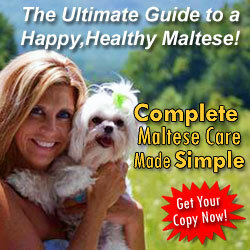 I have been looking at the Maltese for some time and love their disposition. My email is jcasey@qx.net.